Get this stroller and you will not be disappointed. There is TONS of room for storage and very easy to push. There is truly nothing else like the Austlen. It's perfect for growing families as well as those with older siblings who are part time riders. 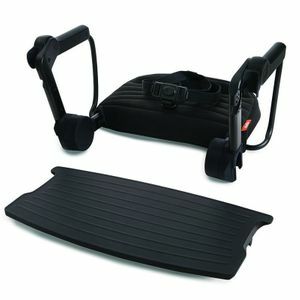 We use ours with the jump seat because my 5 and 8 year olds like to ride sometimes when their legs get tired. This stroller can also haul an impressive amount of stuff, and I regularly take it shopping and use it in lieu of the store carriages. My only complaint (which is why I deducted one star) is that I wish the main seat were even bigger, as we are starting to find it a bit small (especially leg room) at age 3. Recently got this stroller for my 12 month baby and newborn. It's a beautiful stroller and the fabric is very nice. It's nice that it can extend out so both babies can sleep. I had high expectations for this stroller and they were all met. Wonderful and highly versatile stroller. I have a six week old and 2 year old. The baby goes in the front using the bassinet function. My daughter uses the bucket seat or standsthe versatility is great!! Am very happy to have this stroller and look forward to many years ahead with it. 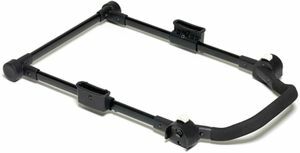 Looks great and love that it's adjustable in length. It is quite long when my son needs to sit and makes it a little harder to push but still not too difficult. 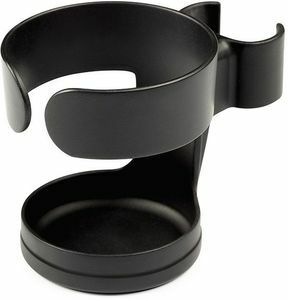 I wish it came with a cup holder but it's sold separately. 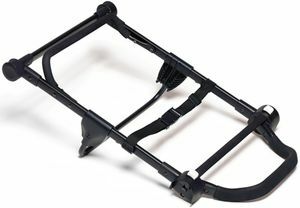 it's also on the heavy side so I wouldn't take this on vacation but great for small trips (beach, amusement park etc). 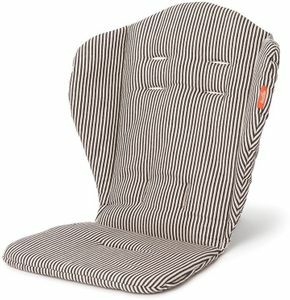 The stroller seat is a little uncomfortable for a 4 mo because it slopes too much but fine once babies are around 6mo. My husband and I researched this stroller for over two years before making our purchase. In fact we came across this stroller before we even had a child. Let me save you 24 months+ of research... buy this stroller!One of the big selling points to me was that an infant could be closer to the parent towards the back of the stroller while the toddler can be in the front. 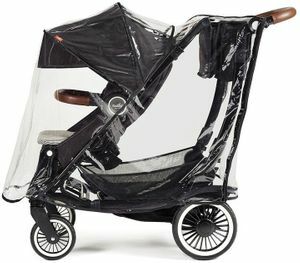 I see other high-end strollers where the infant is literally almost touching the ground in the front part of the stroller. It is apparent in the design of the stroller that ever detail has been thought out by someone who A) is a parent of multiple children, and B) knows strollers. 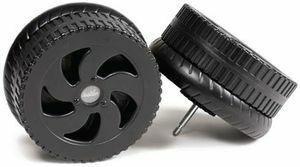 From the way the wheels turn, to the way the stroller extends to fit various accessories, to the way the stroller folds- everything has been built with the user in mind. 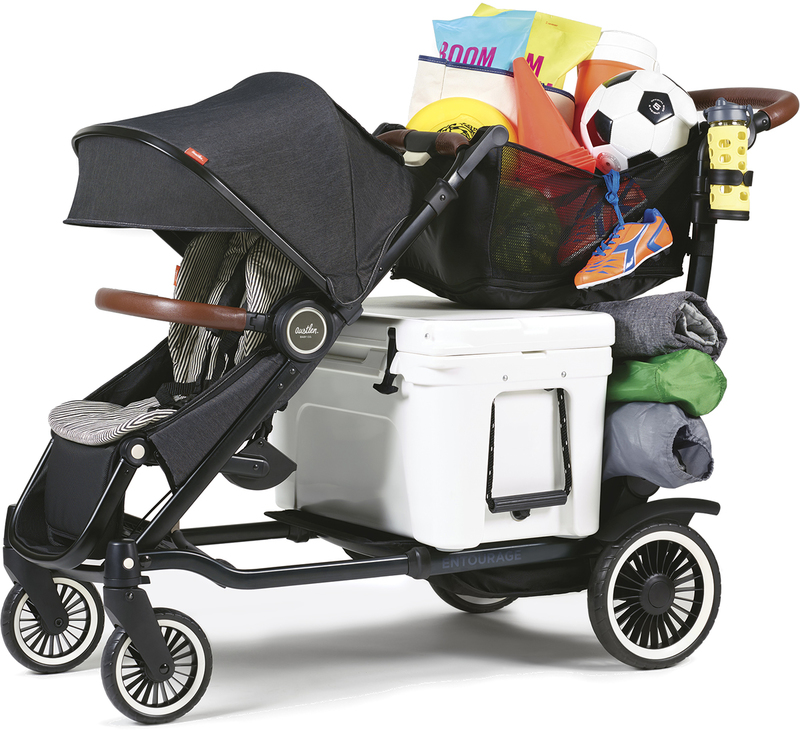 My husband was sold when he saw that you could carry a Yeti cooler and go to the beach easily with this stroller. Also, if you are wondering the cup holder does support the use of Yeti cups. I cannot say enough good things about this stroller or Austlen, the company that makes this Entourage. BUY THIS STROLLER. Saw this stroller and just had to have it. Meets all my expectations and more. 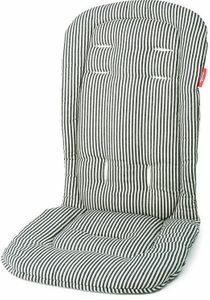 Everything is very easy to adjust and it works perfectly for my infant and toddler and there is lots of storage. 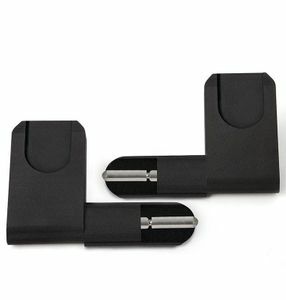 Great quality and sleek look. Only con is its weight but i guess its expected for a double stroller. Our family put in a lot of research in finding the best stroller/double stroller that would accommodate our active lifestyle with two young ones. We were open to strollers of all price ranges and were really interested in something that would provide a safe and comfortable ride for our children but also be able to haul diaper bags, groceries, etc. The Entourage is just that and more!Our favorite features are the removable tote bag, the huge storage basket, the comfy 5 point harness seats, and the ability to accommodate the Nuna car seat. 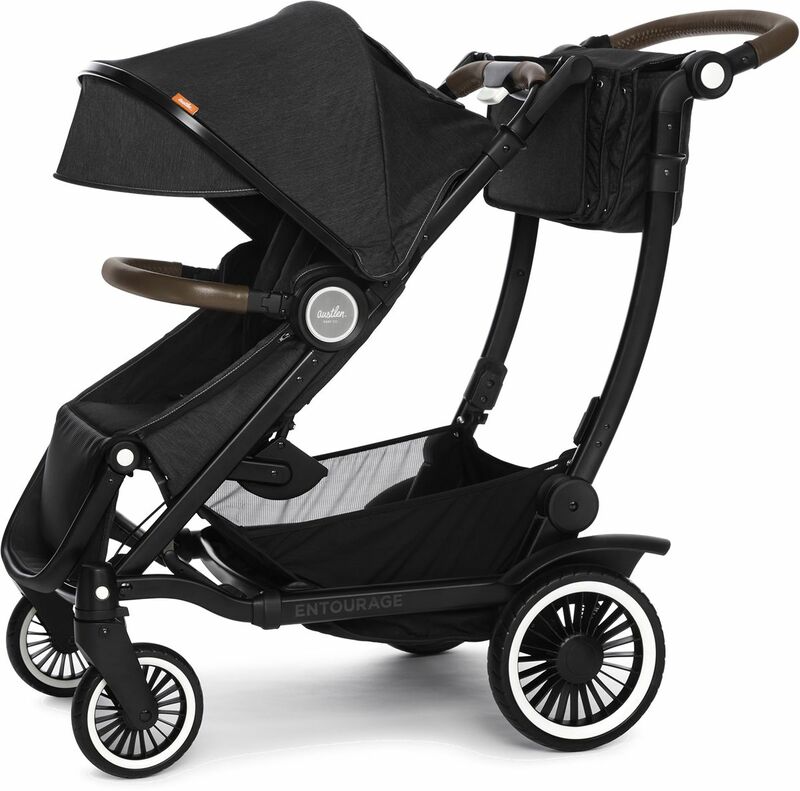 It doesn't hurt that the stroller is gorgeous with all the right attention to detail, my personal favorite being the leather accents and super cute striped seat cushions. We also purchased the sit and stand which is the best we've seen yet, and our toddler is always eager to ride on it. If you're looking for the all around workhorse stroller but designed beautifully and with the modern parent in mind, the Austlen Entourage is it! 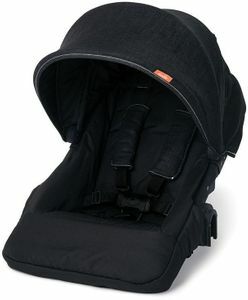 Albee Baby also shipped all our items promptly, in great condition with lovely customer service. Best UsesGreat as a double stroller, for grocery trips and travel. The Best Double Stroller You Can Invest In! 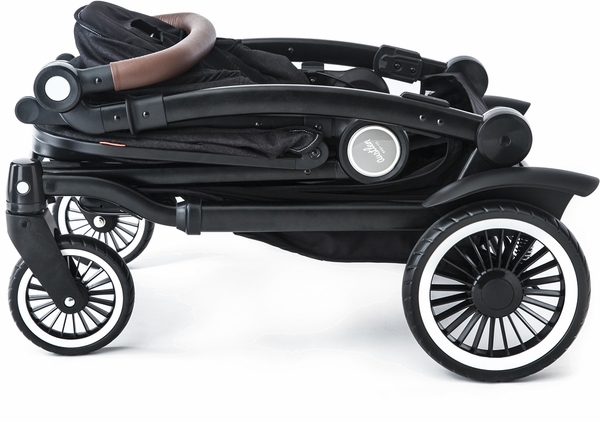 My husband and I did some serious research on all the double strollers in the market and we both hands down fell in love with the Austlen Entourage. At first sight, it is so chic and attractive, all the attention to details are impeccable and my personal favorite touch are the brown leather accents. Utility-wise, it can't get any better. We've tested out our friends' high end double strollers and we still love the Entourage. The fact that it comfortably accommodates both our children but can also haul our everyday essentials, groceries and more is a huge plus for a busy mom on the go. 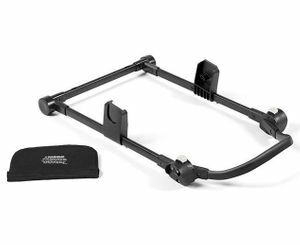 It is easy to use and maneuver, of great quality and they really thought of all the comforts and important essentials a parent would need and want. For the price point, this stroller is a great investment and we can see our family using it for a long while. One of my favorite baby item purchases, I'm always excited to take this baby out for a ride! 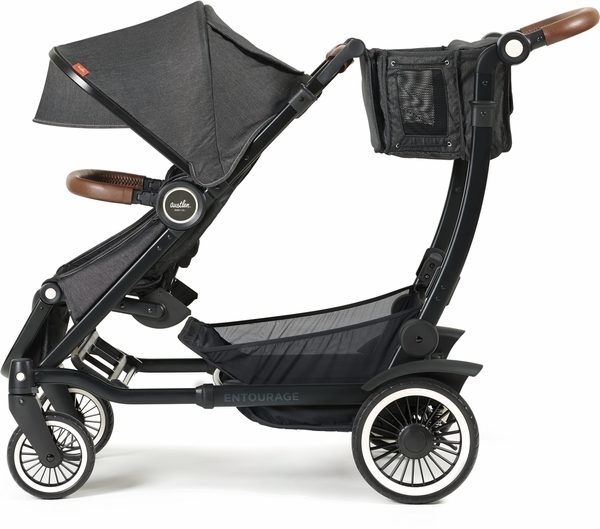 Best UsesDouble stroller, grocery shopping, traveling, long day trips. 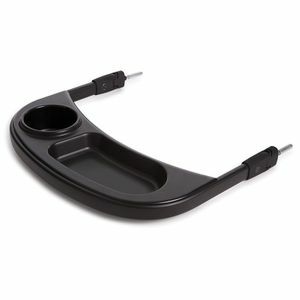 What car seats are compatible with the stroller? The Entourage stroller features over 30 configurations to fit your family and lifestyle. The integrated standing platform allows a second child to come along for the ride and easily hop on and off. 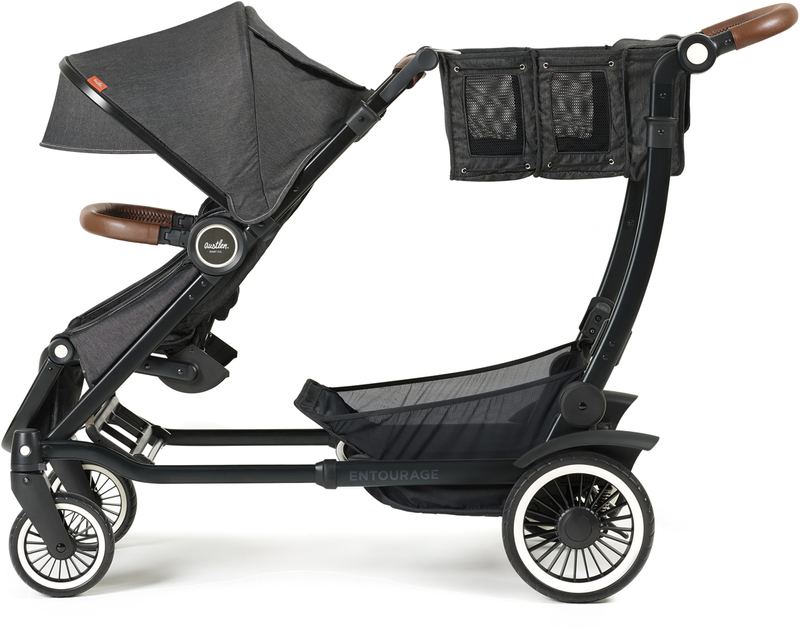 The Entourage stroller can take up to 150lbs of kids and cargo, perfect for shopping trips and family outings! Folds compactly and stands on its own, even with a second seat attached (sold separately). Family outings should be fun, not a test of personal strength. With 150 lbs. of kid and cargo capacity and more than 30 configurations, the Entourage gives you the freedom to go and do. Seat suitable from birth up to 50 lbs. Market tote up to 35 lbs. 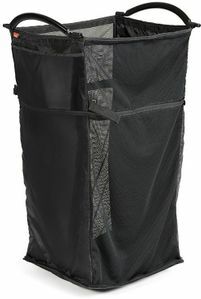 Lower storage basket up to 65 lbs. Total combined weight of kids and cargo up to 150 lbs. 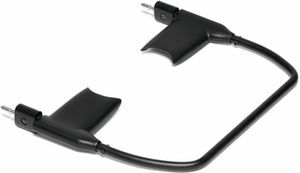 Handlebar distance (in use, based on position): 5.5"-7"
Handlebar height (from ground): 36.25"-42"
Head height reclined (from seat bottom): 18"
Head height upright (from seat bottom): 24"-26"